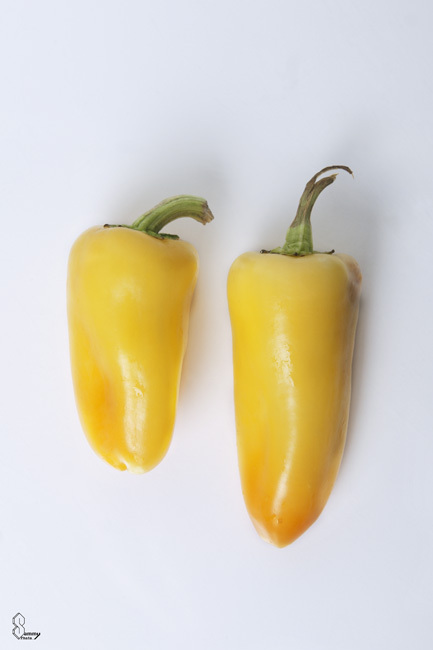 Peppers are the spice of life, they can be attributed to heat, color, taste, and shape. 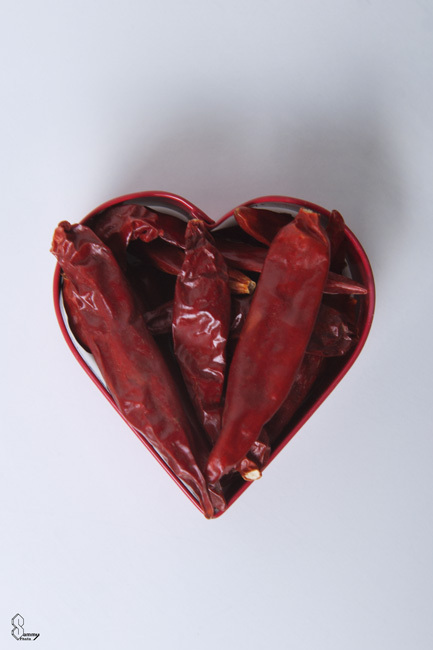 These red peppers fit perfectly in my heart shape and presents a fairly spice valentines day look. Yellow peppers are some of the most common in the world, but as you see in the grocery store, each pepper can be quite different in size and shape. 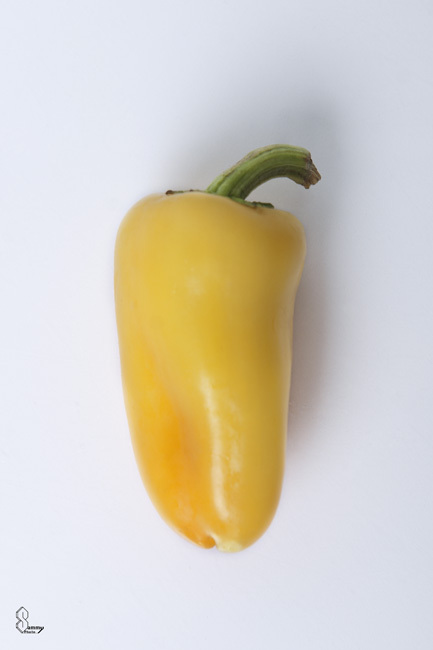 What makes peppers so great for photographing is the almost waxy exterior that makes them really shine and pop out in the right light. I really enjoy comparison photos as well because you can see these peppers also change color gradually. Amazing! 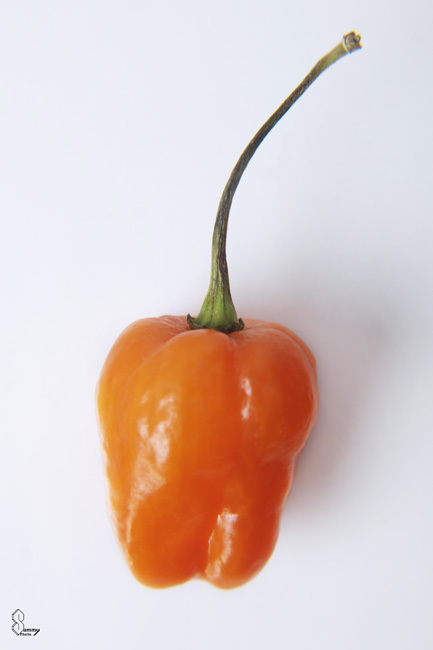 With a stem longer than the body, this orange pepper caught my eye in the market, just begging to be captured. While there isn’t smooth edges like the previous two peppers, this one has a beautiful hint of reds and orange that make it shine.